It's Sipi, one of the character from the children's book Where the Wild Things Are by Maurice Sendak! 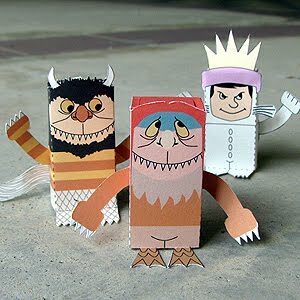 Download the PDF file here and make your own Wild Thing! Also don't forget to check out Moishe and Max too! You can also get the blank template from our Facebook group and customize your own toy! Awesome! Perfect for my kids' Monster Mash! Welcome back! Youve been gone too long! This is fantastic! 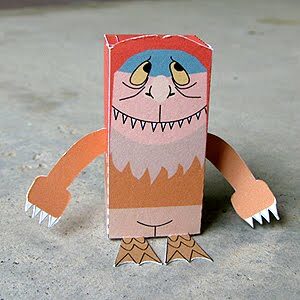 I'm working on a Roundup of Wild Things projects and I'll be linking to these. I subscribed as well, your toys are wonderful! I suggest you, betty boop, please!!! !